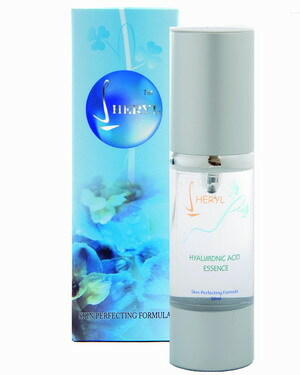 Hyaluronic Acid moisturizes skin for softer skin and reduces wrinkles. This hydra essence help penetrates beneath the skin's surface for mazimal moisturization. Hyaluronic Acid plays an important role in tissue dehydration and cellular function. It is produced in the body naturally, however, over time, as with all vitamins and nutrients in the body, the synthesis of Hyaluronic Acid diminishes. In fact, the half-life of Hyaluronic Acid in our skin is only 1 day.